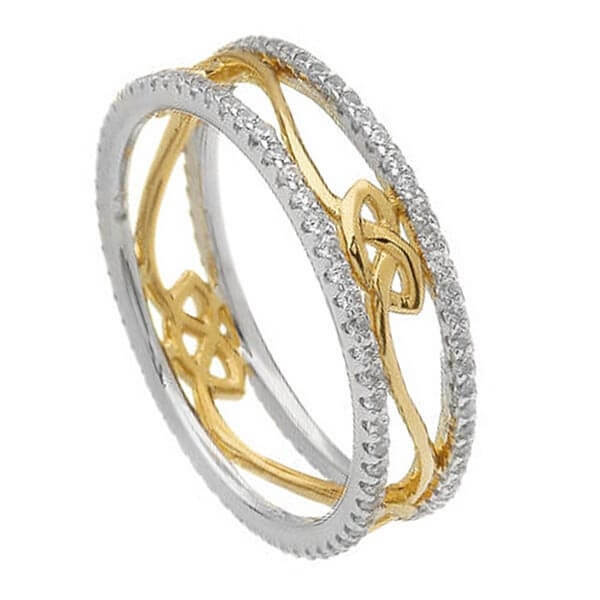 Four gold plated Celtic love knots make up the center of this unique ring. 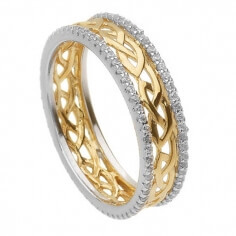 Two Sterling silver rims run along each side, filled with sparkling cubic zirconia. 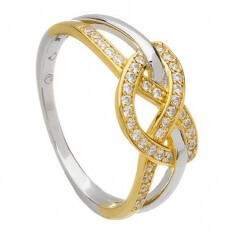 An elegant sweetheart ring that is sure to win her heart. Handcrafted by skilled Irish artisans, then tested and hallmarked for quality by the Dublin Assay Office.